The Solar Plexus Chakra – also known as the Third chakra, Navel chakra, and Manipura – is located behind the navel, on the inner wall of the middle spinal column. It is associated to the stomach, upper intestines, liver, gallbladder, kidneys, and spleen. The pancreas, adrenal cortex and the outer adrenal glands, is also governed by the third chakra. The solar plexus is associated to the color yellow, the and element fire, and the sense of sight. The third chakra Manipura is very important for how the food is digested and converted into energy, since it rules digestion, assimilation and energy. According to Hindu tradition, the third chakra, Manipura, is called the ”city of jewel”, and it is said that a third chakra healing meditation can make the body disease free. Solar plexus chakra healing is about open and balance the navel chakra. When the solar plexus chakra isn’t fully open, or if it is unbalanced, the third chakra will not operate at its full capacity. The solar plexus chakra is an energy center in your body and when it is closed, the energy flow is blocked and this can cause problems in your emotional and physical health. The solar plexus chakra is the major energy center for our thinking process, personality, self-esteem and ego. Solar plexus healing can assist in opening up the Manipura chakra, which can then clear the mind and increase self love. Solar plexus healing can also awaken the strong willpower and desire for high achievement. Energy healers, and reiki healers, can help you open/awaken/balance/heal your navel chakra, but with simple chakra healing techniques you can open and activate your third chakra by yourself. What can Solar Plexus Chakra Healing help you with? 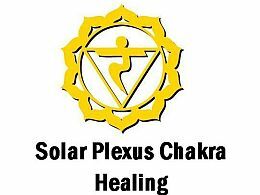 Solar plexus chakra healing or Manipura chakra healing, is a really good idea if you suffer from low self-esteem, low self-respect, or low self-confidence, and can’t really fully express yourself. All these issues are related to a blocked solar plexus chakra, and by balancing and healing the third chakra, you will start believing in your self and gain more confidence to express your truth. The third chakra Manipura is about honoring yourself and setting up boundaries. It is about developing self-esteem, self respect, personality, and being able to separate yourself from your tribal identity. If you can’t stand up for yourself, a third chakra healing session could be very beneficial for you. Healing the solar plexus chakra is also helpful if you are afraid of rejections, sensitive to criticism, not good with crisis situations, lacking courage, or have issues with trust or with your physical appearance. These are all signs of a solar plexus chakra blockage, and a third chakra healing can help with releasing the blockage. It will dissolve any solar plexus chakra pain and emotional issues that are blocking you from being the person you want to be by opening and allowing the energy in the third chakra to flow freely again. Do you need Solar Plexus Chakra Healing? The need of third chakra healing or Manipura chakra healing is reflected on your physical, emotional and mental level. There are signs indicating if you could benefit from solar plexus healing. For example, if you find it difficult to love yourself unconditionally, honor the relationship you have with yourself, and accept responsibility to the person that you have become, you could really benefit from solar plexus chakra healing. Other signs of a blocked solar plexus chakra are if you can’t say ”no”, and let people walk all over you. Healing the third chakra Manipura can help you develop strong boundaries, without feeling guilty. To heal emotional issues and re-balance solar plexus chakra pain, you need to take care of yourself first, before you can help anyone else. You are only responsible for your own happiness, and solar plexus healing will help you remember this simple truth. Third chakra issues can also be reflected on the physical level. If you suffer from arthritis, adrenal dysfunction, indigestion, ulcers, intestinal problems, diabetes, anorexia, bulimia, weight problems, or liver problems, you may also need third chakra healing. Do you have a balanced, deficient, or an excess Solar Plexus Chakra? Below are examples of general characteristics of a balanced, deficient, and excess solar plexus chakra. Healing the Manipura chakra could be very beneficial, if you have any of the issues mentioned above. Third chakra healing doesn’t only cure the symptoms, it heals the root problem that is causing the solar plexus blockage. Solar plexus chakra healing or navel chakra healing is about developing a strong sense of self-esteem and self nurturing. It’s about recognizing that you are good enough and that you don’t have to prove yourself, or your worth, to anyone. Solar plexus chakra healing will assist in developing self-confidence, self-respect and boundaries. The following solar plexus chakra healing techniques will help you balance your third chakra Manipura: affirmations, crystals & stones for solar plexus chakra, essential oils, foods, yoga positions, guided meditation, and sound healing. Learn about the healing tools and then choose the one you feel guided to. Make the healing process fresh and fun and alternate between the different techniques. It’s fine if you don’t feel anything as you apply these techniques, but know that your awareness and attention to your third chakra is part of the healing process. Now, let’s find out how to open, activate and balance the solar plexus chakra! Affirmations are powerful statements that you repeat to yourself to reprogram your brain and beliefs. A belief is only a thought that you keep thinking, and as you replace old thought patterns with new ones, your beliefs will start to shift. At first, it may feel silly as you work with the affirmations, but after a while you will feel the healing energy behind the words and start believing in the empowering statements. Some affirmations are especially effective in healing the solar plexus chakra, and will heal the root problem that is causing the solar plexus chakra blockage. We have collected some very powerful third chakra affirmations, see below. To activate and balance the 3rd chakra with healing stones is very simple, and yet effective. You can use the wonderful solar plexus stones described below, as jewelry and allow the healing energy to work on you while you do other things. You can also work with the solar plexus crystals as you meditate. Just place the healing stones on your navel chakra and feel the healing energy as you focus on your 3rd chakra. Remember to always cleanse your solar plexus stones afterward. If you are suffering from any solar plexus chakra pain descirbed above, make it a habit to wear and/or work with third chakra stones that you feel guided to. Citrine, sunstone, and yellow aventurine are often used for navel chakra healing. The color of the solar plexus chakra is yellow, and healing stones in this color can be very helpful in stimulating the third chakra Manipura. Below are examples of useful solar plexus crystals for balancing the 3rd chakra. These third chakra stones promote, joy, success, abundance, positive energy, and personal power. Essential oils can be very effective in opening and balancing the solar plexus chakra. Cinnamon, clove, ginger, juniper, and lemon are often used to heal the third chakra Manipura. Add a few drops of the healing essential oils into your food bath, or bathtub. You could also use an oil burner or a diffuser. Issues with the digestive system, is a typical third chakra imbalance. Black pepper, cardamom, chamomile, ginger, lavender, and peppermint, are examples of essential oils that can be very helpful for the digestive system and the solar plexus chakra. Problems with liver and gallbladder, are very common third chakra issues, and sings of a solar plexus chakra blockage. The following essential oils can help with problems in these areas: chamomile, cypress, helichrysum, juniper, and lemon. Adrenal glands disorders are also typical third chakra issues, caused by a solar plexus chakra blockage. The following essential oils can help relieve nervous tension that causes stresses on the adrenal glands: basil, bergamot, chamomile, lavender, melissa, rose, sandalwood, and ylang ylang. If you suffer from any third chakra imbalance, you should really pay attention to what you eat. By choosing certain foods, you will release any solar plexus chakra blockage. Here are some basics to help you balance your third chakra Manipura. Furthermore, problems with the digestion system are signs of a solar plexus chakra blockage. It’s therefore important to exercise every day for optimal digestion, and to balance your solar plexus chakra. The third chakra Manipura is situated behind your navel, and it is associated with the element fire. The navel chakra is ”the fire in your belly”. If you suffer from any solar plexus chakra pain mentioned above, yoga for solar plexus chakra could really help. The most effective yoga for solar plexus chakra strengthens your core, and it will also help you to feel more confident and powerful. 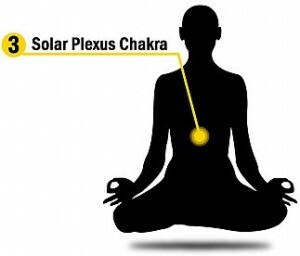 The two yoga poses for solar plexus chakra Warrior I and Warrior II, are very effective to reconnect with your personal power, and to release any solar plexus chakra blockages. Besides being a very effective yoga for solar plexus, it also opens up your hips, and strengthen your lower back, knees and legs. Feel powerful like a spiritual warrior as you do Warrior I, and reconnect your with your true divine nature with Warrior II. Awaken the spiritual warrior qualities within you, such as discipline, concentration, focus, and courage, with this wonderful yoga for solar plexus chakra. Yoga for solar plexus chakra will stimulate the organs of the abdomen and stretch the entire front body, and the Dhanurasana, or Bow Posture (dhanu=bow, asana=posture), is particularly effective in doing so. It opens up your third chakra and resolves any solar plexus chakra pain. As you do the Bow Posture, let the knees stay aligned with your hips (not wider). Breath in as you visualize the color yellow filling your third chakra. Stay in this Bow Posture for a few seconds, and then release as you exhale. Alternatively, stay in this Bow Posture for 20-30 seconds while you breathe as deeply as you can, in and out, and visualize the color yellow filling your third chakra Manipura. 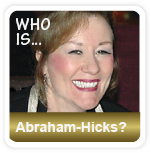 Energy healers and reiki healers can open, balance, and heal your third chakra Manipura. However, there are some simple healing techniques that you can apply by yourself, to balance and heal your third chakra. Solar plexus chakra meditation is a very effective healing tool to release solar plexus blockage, and to allow the healing energy to flow. We have included two wonderful 3rd chakra meditation videos for this purpose, see below. Solar plexus chakra meditation is very simple, and you can do it as often as you like. Relax and quiet your mind. Sit up with your back straight. You could sit in a lotus position, or in a chair with your feet flat on the floor. Bring your attention to your solar plexus chakra. As you focus on your third chakra, visualize a yellow beam of light pulsing from your solar plexus chakra. Now, simply ask your third chakra to open itself. Even if you can’t actually ”see” your third chakra, trust that it is now opening and being activated. Feel how you allow this energy from the solar plexus chakra to flow freely through your body. The following 3rd chakra meditation videos will help you to release the solar plexus chakra pain that is blocking you from being who you want to be. You will open, activate, balance and heal your third chakra, and allow your true potential to shine. Whether you lay down or sit up, make sure to align your spine comfortably, and breath deeply. As you listen to the guided meditation, relax and allow the healing energy flow into your solar plexus chakra. Enjoy the series of sensory work and visualizations! The frequency of solar plexus chakra healing or Manipura chakra healing is 528 Hz. 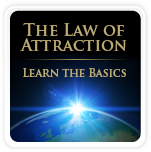 As you listen to this frequency, you will open up to DNA repair, miracles, and transformation. Listen to this frequency with stereo headphones. Enjoy the healing powers!